What does Vince have in store for us? WWE's official website has just made a huge announcement regarding tomorrow's SmackDown Live Superstar Shakeup edition. According to the news, Vince McMahon is going to reveal the biggest acquisition in SmackDown history. The 2019 edition of Superstar Shakeup has left Monday Night Raw jam-packed with some of the most exciting names in WWE at present. The red brand scored the likes of Aleister Black & Ricochet, Andrade, The Miz, and AJ Styles. Now, it's time for the blue brand to get its share of a brand new batch of Superstars. Some of the wrestlers featured tonight on Monday Night Raw are destined to go to the blue brand in a matter of hours. After tonight's show, WWE's official site came up with a major announcement regarding the upcoming SmackDown Live episode. 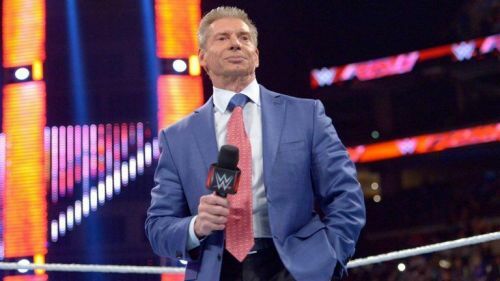 The Chairman of the Board and Chief Executive Officer of WWE, Vince McMahon is reportedly going to reveal the biggest acquisition in SmackDown Live history tonight. This announcement has come in the wake of several rumors making the rounds, stating that Roman Reigns is about to switch brands. It was speculated weeks ago that Brock Lesnar could make a move to Tuesday nights, but the switch was rumored to be for SmackDown Live's eventual move to Fox. The WWE Universe won't have to wait long for Vince McMahon's blockbuster announcement on SmackDown Live, as the show emanates from Bell Centre, Montreal, Quebec, tonight. Who could be this mystery Superstar, who is being dubbed by WWE as the biggest acquisition in SmackDown Live history? Could it be Roman Reigns? If not, which major Raw Superstar would you want to see on the blue brand?